In this study, it is aimed to determine the antioxidant and antimicrobial properties of dandelion, Polygonum, mullein and dock consumed by people living in Afyonkarahisar province. At the end of the study, DPPH Free Radical Removal Activity (%) and Total phenolic content of dock (Galium verum L.) were 52.46 ± 1.25% and 0.55 ± 0.60 GAE mM, respectively, and followed by Polygonum (Polygonum cognatum L.) with % 52.46 ± 1.25 and 0.55 ± 0.60 GAE mM values. As a result of the antimicrobial activity tests; the dock had an antimicrobial effect with forming a zone diameter of 28 ± 0.02 against Escherichia coli and 26 ± 0.00 mm against Listeria monocytogenes. The MIC and MBC values of dock of these bacteria were determined as 24 and 48 μg / mL, respectively. Bu çalışmada, Afyonkarahisar ili ve çevresinde yaşayan halk tarafından gıda olarak tüketilen acıgünek, bici bici, sığır kuyruğu ve ekşimenin antioksidan ve antimikrobiyal özelliklerinin belirlenmesi amaçlanmıştır. Araştırma sonucunda DPPH Serbest Radikal Giderme Aktivitesi (%) ve Toplam fenolik madde miktarı en fazla % 52.46± 1.25 ve 0.55±0.60 GAE mM değer ile ekşimende (Galium verum) olduğu saptanmış, bunu % 52.46± 1.25 ve 0.55±0.60 GAE, mM değerler ile Bici bici’nin (Polygonum cognatum) takip ettiği belirlenmiştir. Yapılan antimikrobiyal aktivite testleri sonucunda ise; en fazla antimikrobiyal etkinin yine ekşimen tarafından gösterildiği, Escherichia coli’ye karşı 28±0.02 ve Listeria monocytogenes’e karşı 26±0.00 mm zon çapı oluşturduğu tespit edilmiştir. Ekşimenin bu bakteriler üzerindeki MIC ve MBC değerleri ise sırasıyla; 24 ve 48 μg/mL olarak belirlenmiştir. Akçiçek, E. ve Vural, M. 2007. Kumalar dağı (Afyonkarahisar)’ nın endemik ve nadir bitkileri. BAÜ FBE Dergisi. 9(2), 78-86. Anonim, 2010. Afyonkarahisar, Afyonkarahisar Belediyesi. Başer, K.H.C. 2015. Sığırkuyruğu (Verbascum sp.) Bağ Bahçe. 61, 22-23. Bokhari, J., Khan, M. R., Shabbir, M., Rashid, U., Jan, S. and Zai, J.A. 2013. Evaluation of diverse antioxidant activities of Galium aparine. Spectrochimica Acta Part A: Molecular and Biomolecular Spectroscopy, 102, 24–29. By Aamer, A. A., Abdul-Hafeez, M. M. and Sayed, S. M. 2015. Minimum inhibitory and bactericidal concentrations (MIC & MBC) of honey and bee propolis against multidrug resistant (MDR) Staphylococcus Spp. isolated from bovine clinical mastitis. Global Journal of Science Frontier Research: D Agriculture and Veterinary. 15(2), Version 1.0. Chikezie, I. O., 2017. Determination of minimum inhibitory concentration (MIC) and minimum bactericidal concentration (MBC) using a novel dilution tube method. African Journal of Microbiology Research, 11(23), 977-980. Chu, S. C. and Chen, C. 2006. Effects of origins and fermentation time on the antioxidant activities of Kombucha. Food Chemistry, 98, 502–507. CLSI, 2015. Clinical and Laboratory Standards Institute, Zone diameter and minimal inhibitory concentration (MIC) Standards. Da-Costa-Rocha, I., Bonnlaender, B., Sievers, H., Pischel, I. And Heinrich, M. 2014. Hibiscus sabdariffa L. A phytochemical and pharmacological review. Food Chemistry. 165, 424–443. El-Mahmood, M. A. 2009. Antibacterial efficacy of stem bark extracts of Mangifera indica against some bacteria associated with respiratory tract infections. Sci Res Essays, 4(10), 1031-1037. Kahraman, Ç., Ekizoğlu, M., Kart, D., Akdemir, Z.Ş. and Tatlı, I. I. 2011. Antimicrobial activity of some Verbascum species growing in Turkey. FABAD J. Pharm. Sci., 36, 11-15. Tatsimo, S.J., Tamokou, J.D., Havyarimana, L., Csupor, D., Forgo, P., Hohmann, J., Kuiate, J.R. and Tane P. 2012. Antimicrobial and antioxidant activity of kaempferol rhamnoside derivatives from Bryophyllum pinnatum. BMC Res Notes. 20, 105-158. https://doi.org/10.1186/1756-0500-5-158. Vlase, L., Mocan, A., Hanganu, D., Benedec, D., Gheldiu, A. and Crışan, G. 2014. Comparative study of polyphenolic content, antioxidant and antimicrobial activity of four Galium Species (Rubiaceae). 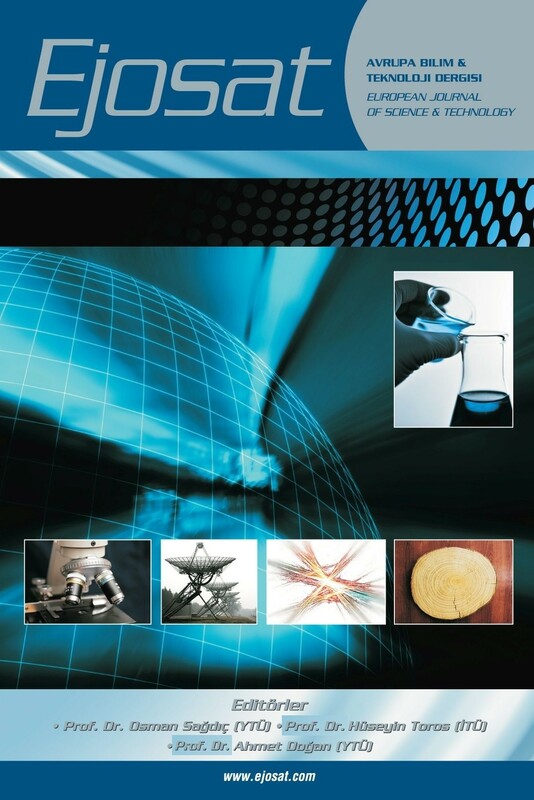 Digest Journal of Nanomaterials and Biostructures. 9(3),1085-1094. Wang, K., Zhang, Y.J. and Yang, C.H. 2005. Antioxidant phenolic compounds from rhizomes of Polygonum paleaceum. J. Etnopharmacol. 96, 483–487. You, Y., Yoo, S., Yoon, H.G., Park, J., Lee, H.Y., Kim, S., Oh, K.T., Lee, J., Cho, H.Y.and Jun, W. 2010. In vitro and in vivo hepatoprotective effects of the aqueous extract from Taraxacum officinale (dandelion) root against alcohol-induced oxidative stress. Food and Chemical Toxicology. 48(6), 1632-1637. Yücel, E. 2012. Türkiye’nin Çayır, Mera ve Ormanlarının Zehirli Bitkileri. Arkadaş Basım, Ulus/ Ankara. Yücel, E. and Tunay, M. 2002. Nazilli (Aydın) ve yöresinde gıda olarak kullanılan yabancı otlar. Türkiye Herboloji Dergisi. 5(2), 10-17. Yücel, E., Yücel Şengün, İ. and Çoban, Z. 2012. The wild plants consumed as a food in Afyonkarahisar/Turkey and consumption forms of these plants. Biological Diversity and Conservation. 5(2), 95-105.